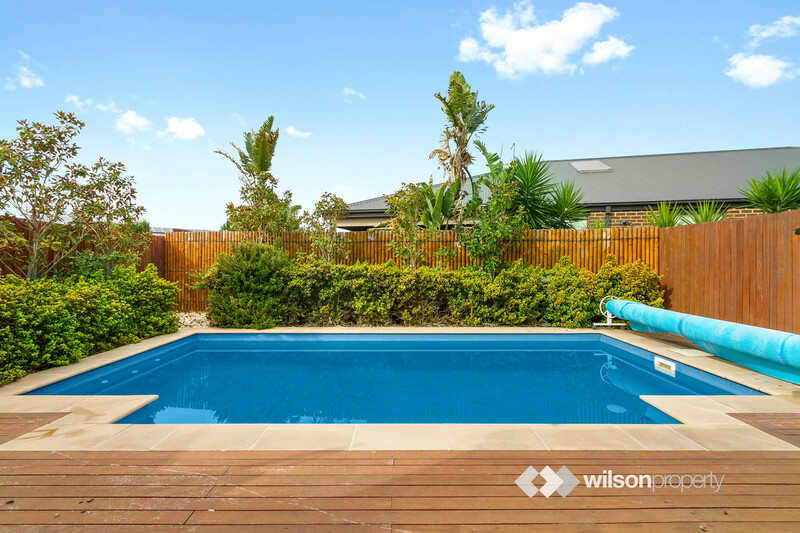 Proudly positioned in one of Sherwood Park’s most prestigious court locations, this exceptional family sized residence offers a luxurious lifestyle and a complete package inclusive of swimming pool and shed with vehicle access. 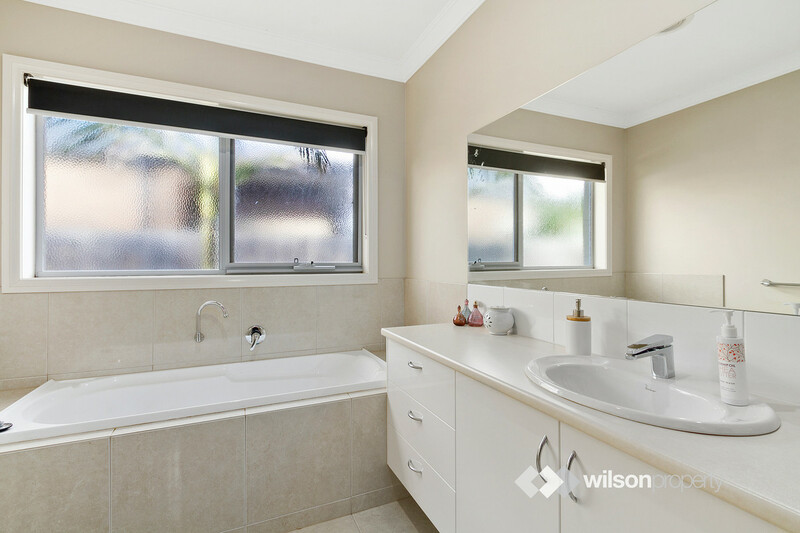 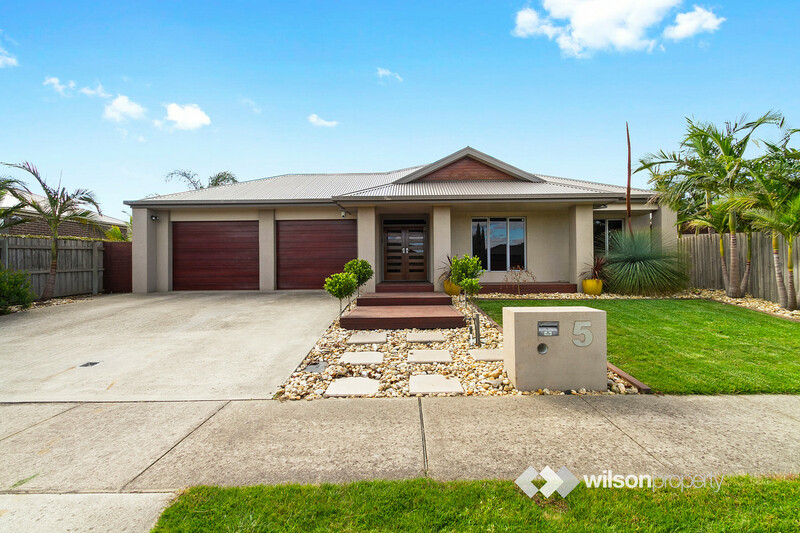 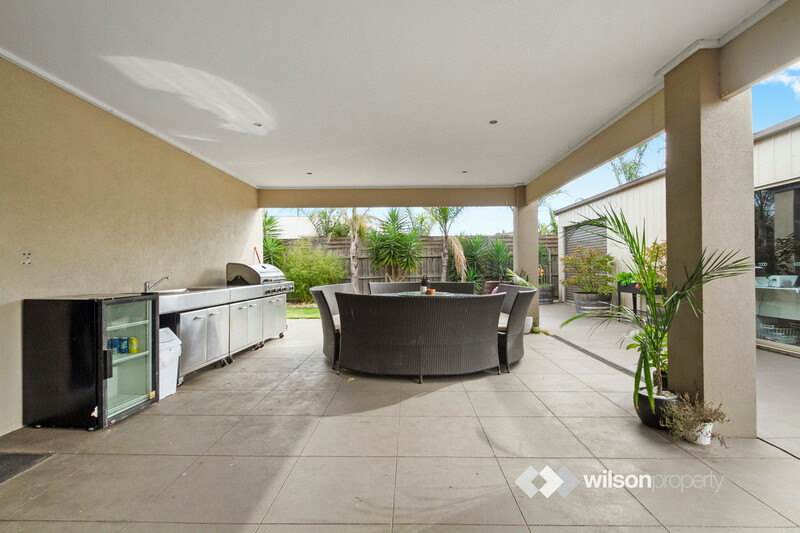 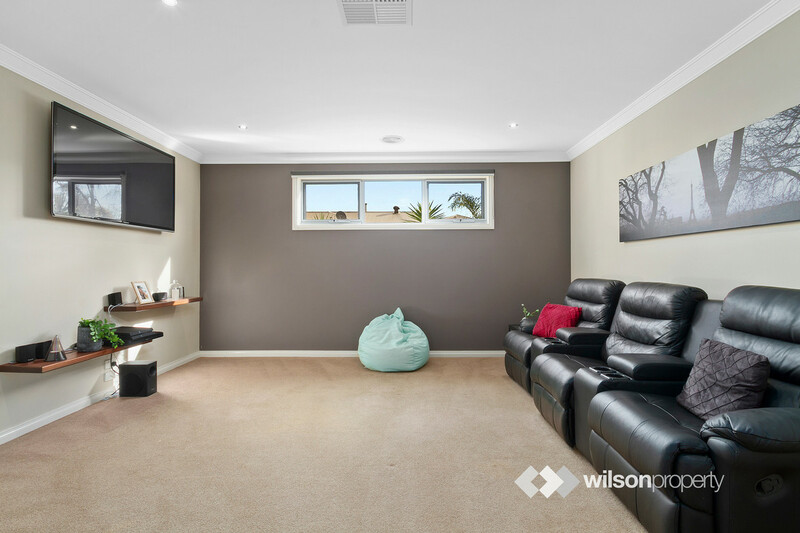 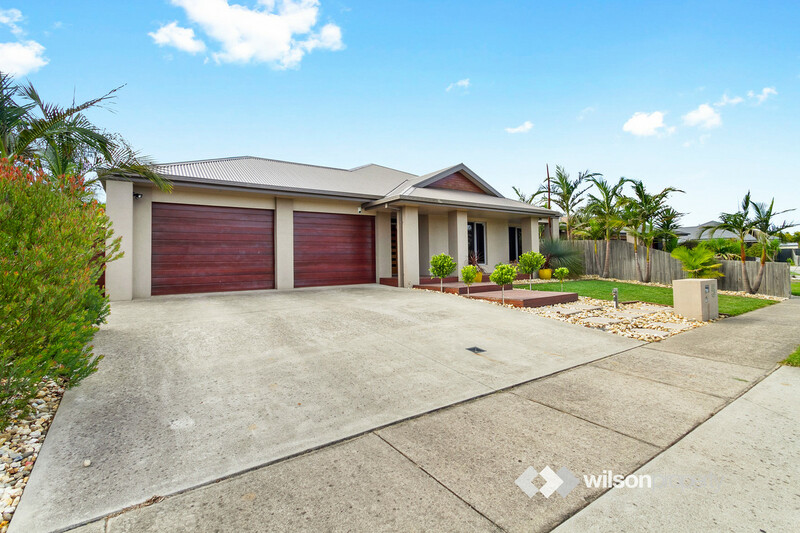 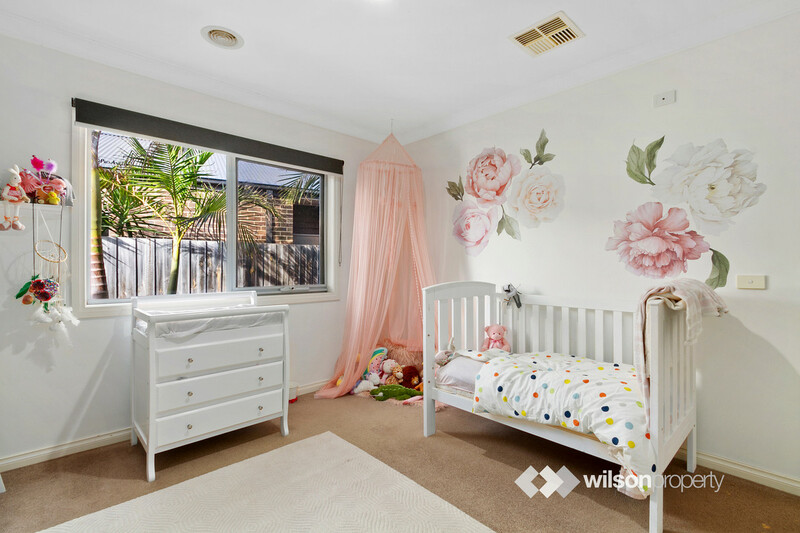 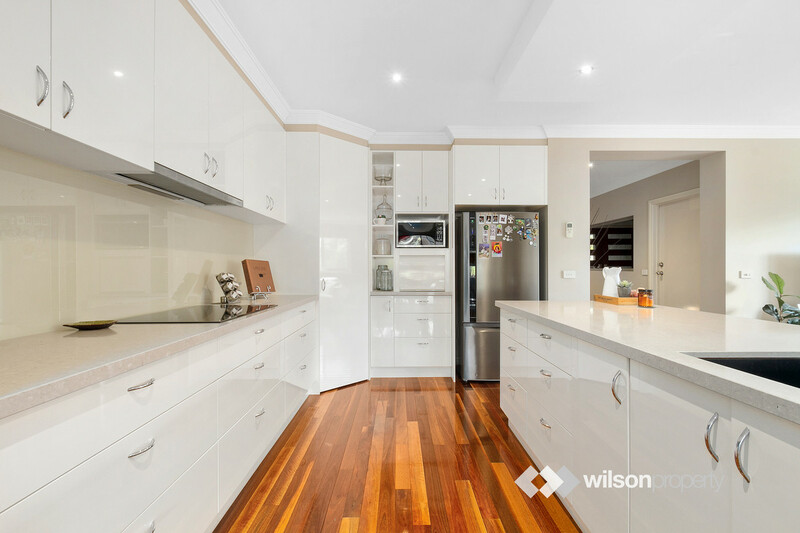 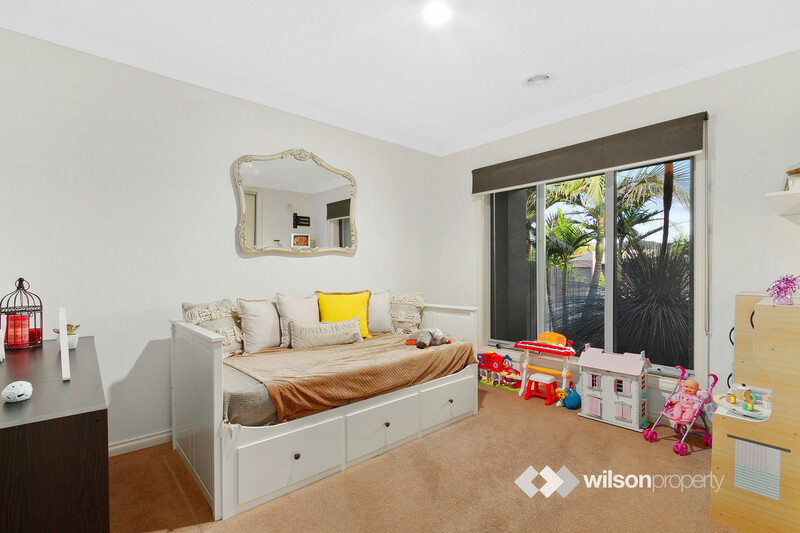 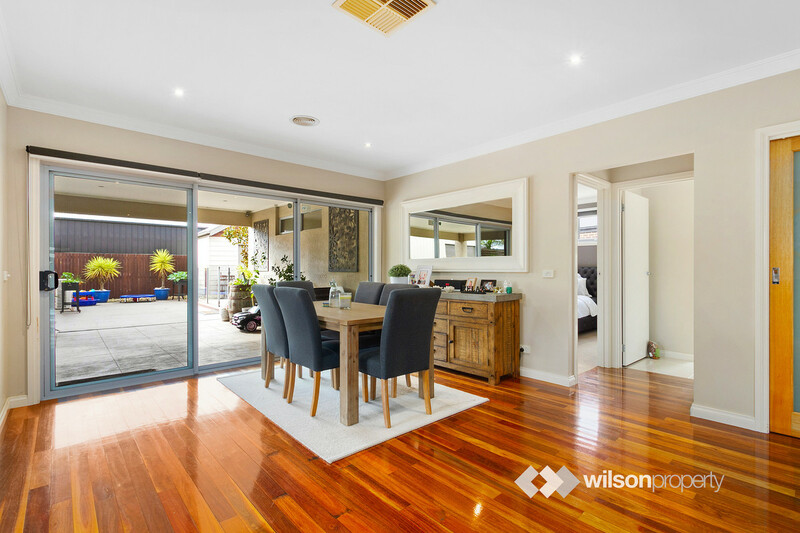 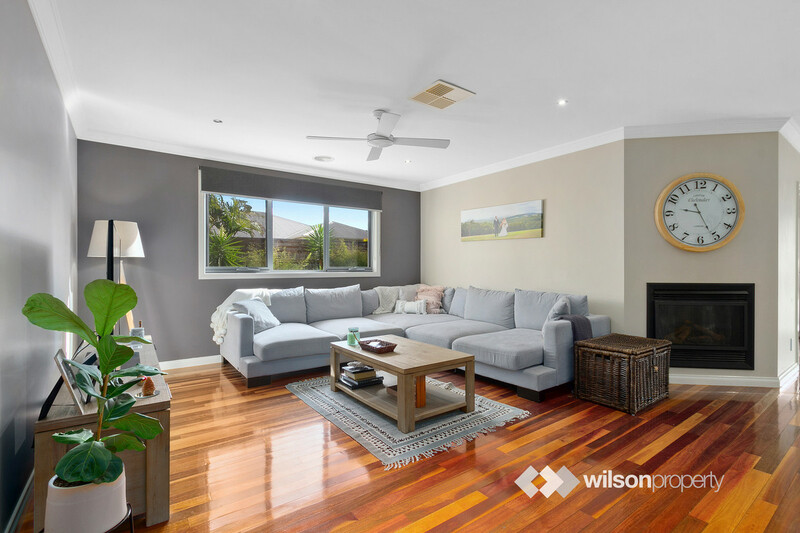 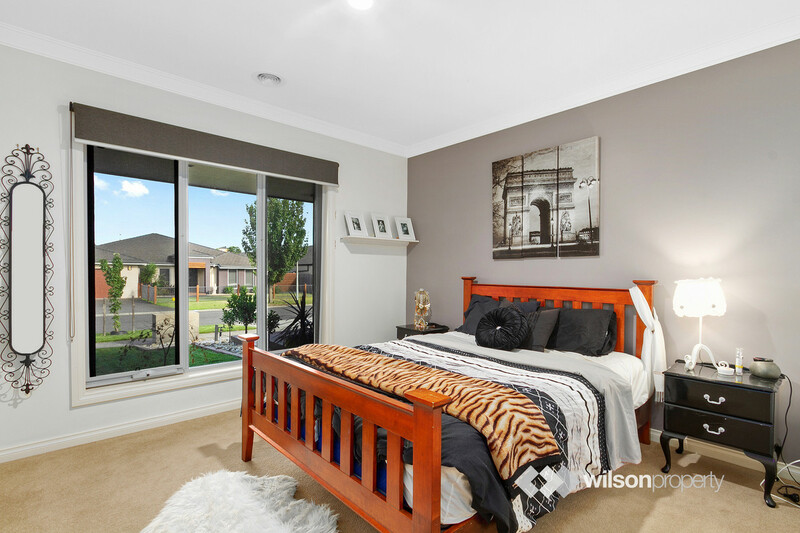 Positioned conveniently nearby Traralgon’s leading schools, a short distance from the CBD and adjacent to the Bradman Boulevard Recreational Park, there’s a lot to love about this property. 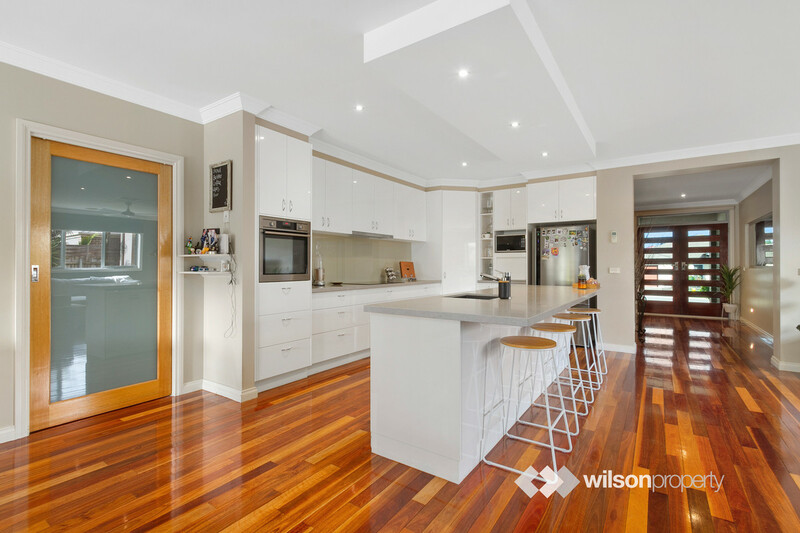 -Open plan kitchen and family room with gas log fire, bathed in natural light with a northerly aspect. 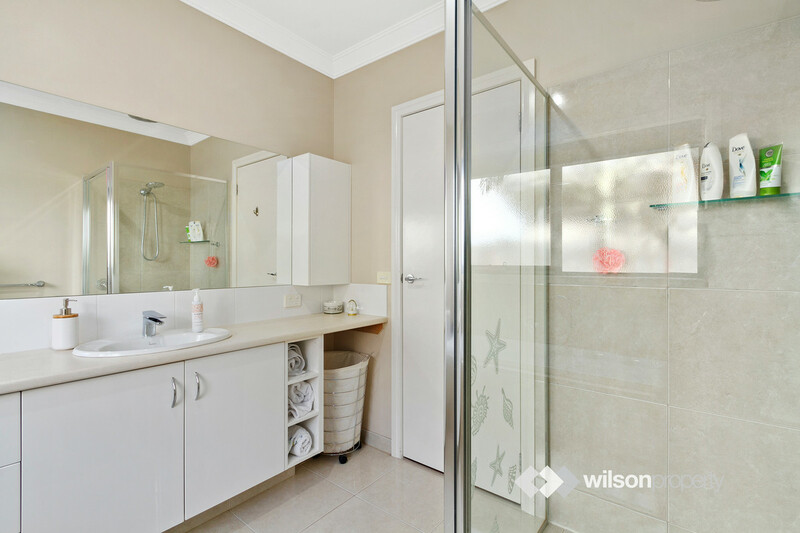 -Master suite of generous proportions, inclusive of ceiling fan, walk-in robe and ensuite with double vanity, separate toilet and oversized shower. 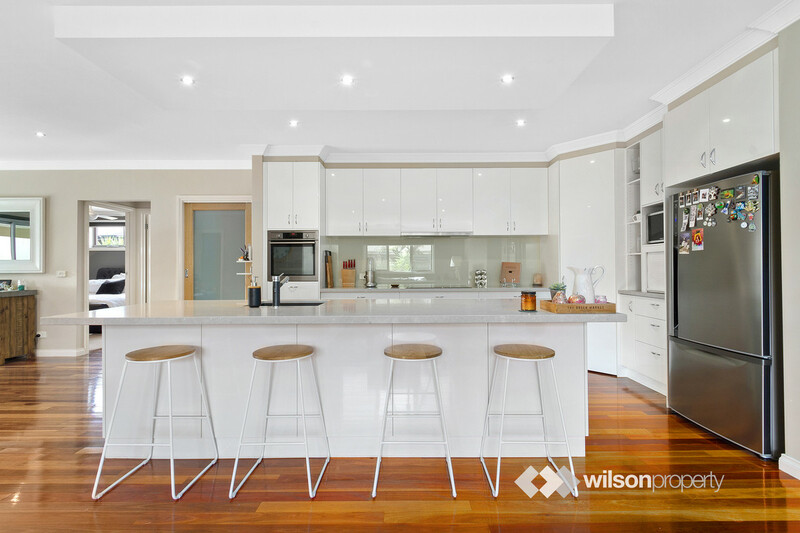 -The show piece kitchen is well appointed with AEG & Miele appliances, a walk-in pantry and second corner pantry, Caesarstone counter tops, breakfast bar, glass splashback and appliance cupboard. 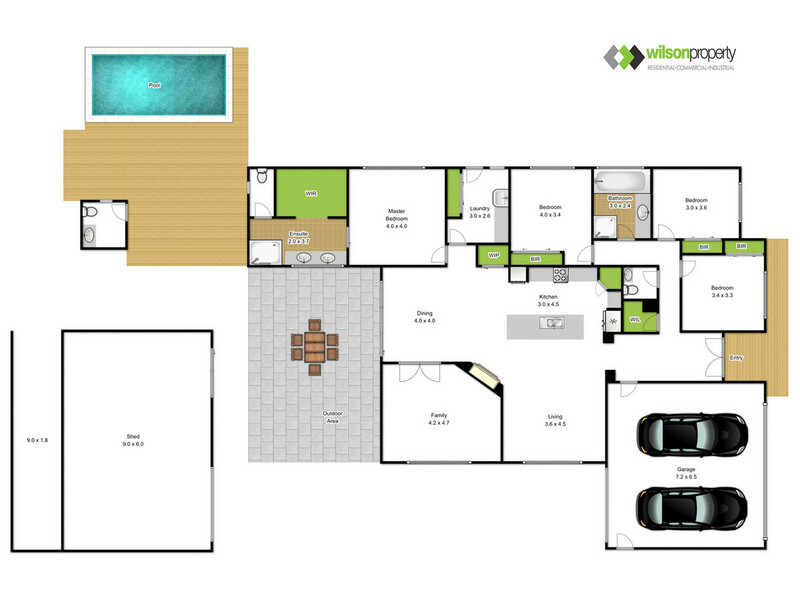 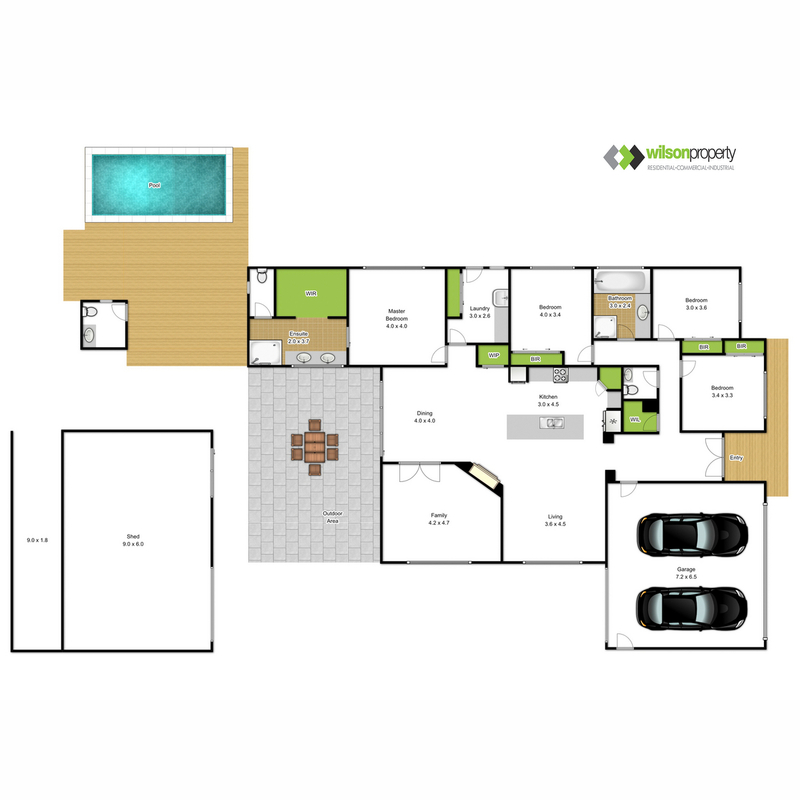 -Second lounge area with double doors to separate from main living zone and built-in work station cabinetry. 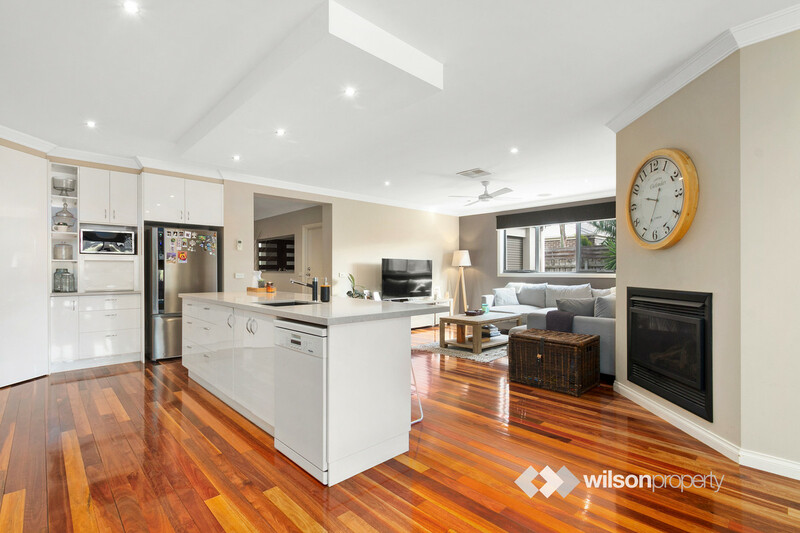 In addition to the two living areas there is also a designated dining space. 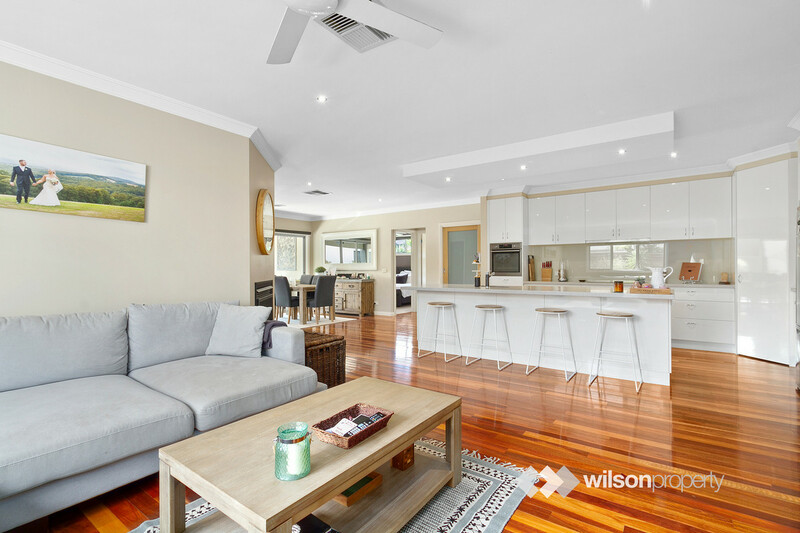 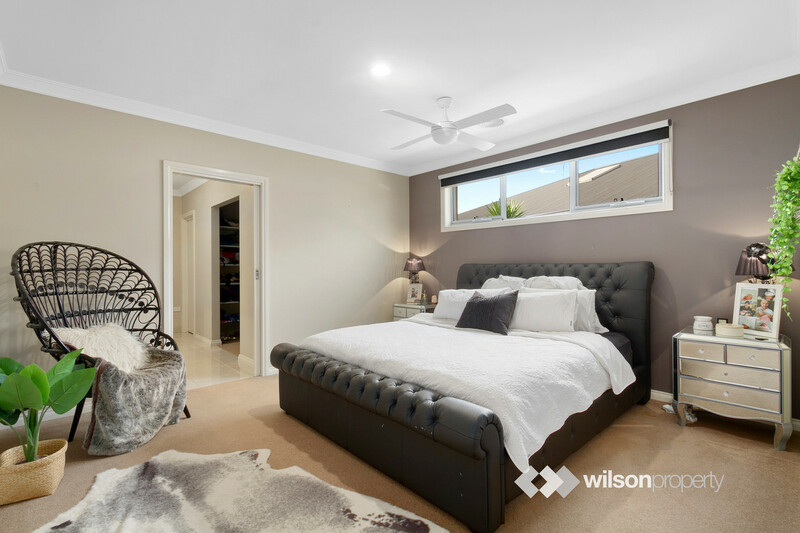 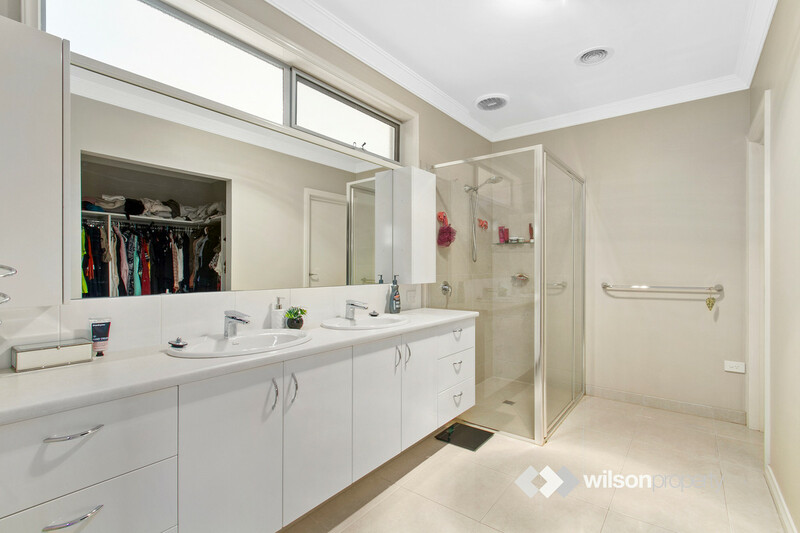 -Impressive finishes and fittings throughout including spectacular Spotted Gum hardwood polished floors, raised ceilings, ducted heating and cooling, ducted vacuum system, windows blinds throughout and 2.5kw solar power system. 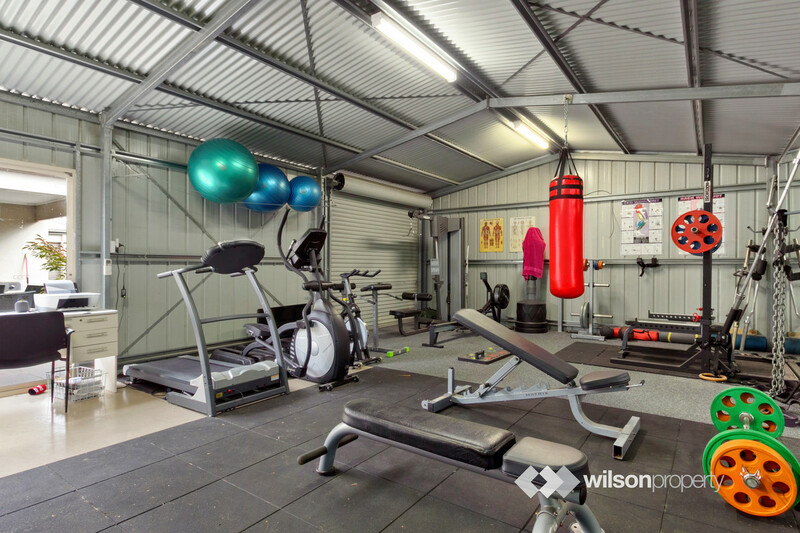 -Oversized garage with dual remote doors plus rear roller door for vehicle access to shed and backyard. 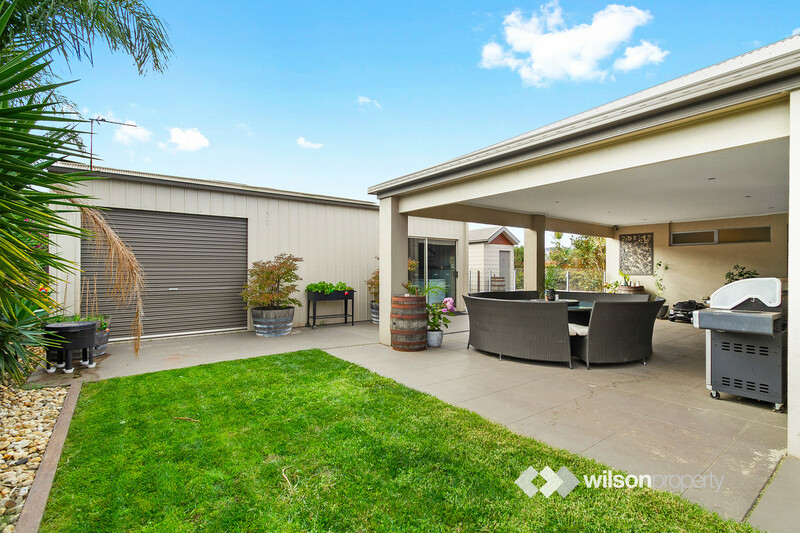 -External features include a 6×9 powered Colorbond shed with air conditioning, roller door and glass sliding pedestrian door access. 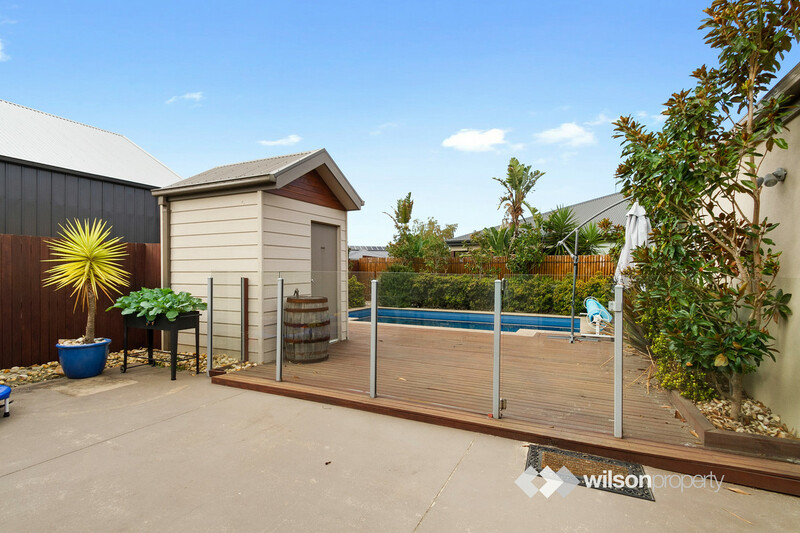 In addition to the stunning in-ground swimming pool with its glass surrounding fence, is an external toilet, timber decking, landscaped gardens and an enormous outdoor alfresco area for entertaining.